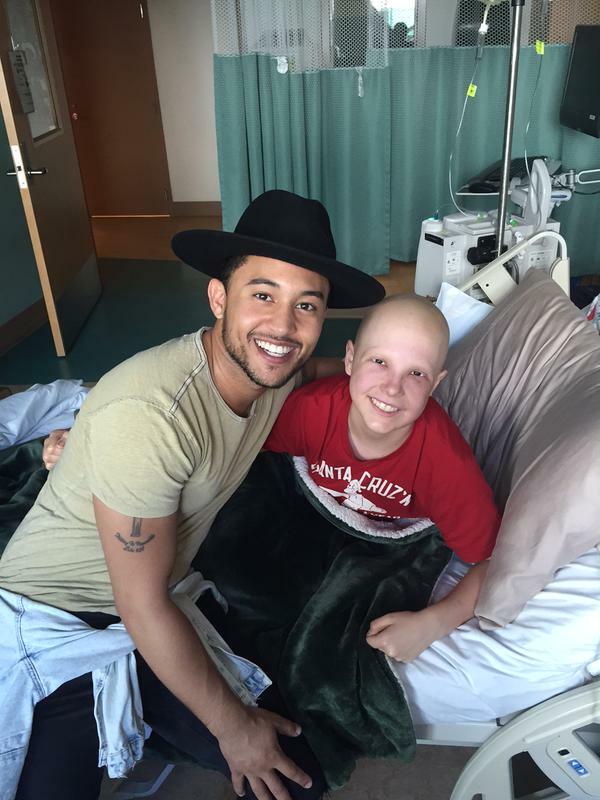 Tahj Mowry showed he not only inherited the Mowry good look genes (helllooo light skin) but their kind hearts. The Smart Guy actor spent the day at Rady Children’s Hospital in San Diego. Where he made friends with Kasey Harvey, a teenage cancer patient, undergoing her 22nd chemotherapy treatment!? !.What a warrior. Along with Tahj rooting for her speedy recovery, Johnny Bananas from MTV’s The Challenge is her personal get well cheerleader. He even presented her with a $8,000 donation in honor of Diem Brown, an MTV celeb that died of cancer last year. When not visiting local hospitals, Tahj is promoting his debut single Flirt on itunes. Or hanging out with his famous sibs.